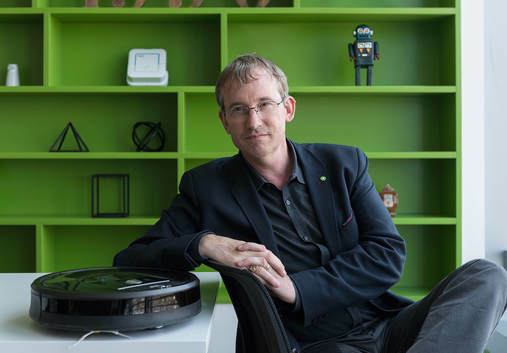 The CEO of iRobot, Colin Angle, recently discussed his opinions on where he thinks that robots have room to grow in the home. His company is the inventor of the Roomba, the autonomous vacuuming robot for home use. Angle feels that while the technology is not quite seamless enough for a full “smart house” just yet, soon robots will be more integrated and commonplace in people’s’ homes besides the already present examples such as the Amazon Echo and the iRobot Roomba. To see what else the iRobot CEO has to say about the future of robotics, as well as the future of his own firm, check out the full article below!